Broadview Homes consistently offers home buyers a variety of floor plans to choose from . At first glance, many seem to be quite similar. For instance, most 2-storey homes have a kitchen, dining room, and great room on the first floor with bedrooms on the second floor. All of our plans include a master suite with a walk-in closet and an ensuite. Given the similarities, does it really matter which home you buy? The truth is there are subtle differences that can really make a big difference. Think carefully about the following details as you choose a floor plan for your family. This suggestion comes as a shock to many buyers. People often have a very specific idea of how large they want their home to be, but square footage doesn’t tell the whole picture. For instance, a well-planned 1,600 square foot layout can feel just as spacious as a poorly planned 2,000 square foot layout. If you’re setting your search parameters at a minimum of 1,800 square feet, you could be missing out on a great home that’s "only" 1,750 square feet. It’s important to remember that our floor plans can include a finished basement with a bedroom, full bathroom, and rec room. In most cases, this will add at least 800 square feet to a home. Furthermore, this option is generally more affordable than purchasing a home with that additional square footage on the upper levels. Plus, you don't have that undeveloped basement hanging over your head when you move in! You never really know what homes look like at varying levels of square footage until you start taking a closer look. What does your family’s life look like? Knowing these details can help you find floor plans with little features that will increase your happiness. Coming home with $200 worth of groceries for the week? You might appreciate the way that a walk-through pantry connects the entryway to the kitchen and makes it easier to put the groceries away. Bringing the kids home from hockey practice with a bunch of gear and sweaty clothes? Look for a floor plan with a large mudroom and a laundry next to the garage. On the other hand, if you have teenage children who head straight to their rooms with their backpacks full of homework, you can probably choose a floor plan with a smaller entryway, saving that square footage for a bigger great room. Looking at floor plan designs on a website can give you some idea of what a particular home will look like, but it’s much better to see things in person. Rooms that seemed large in the design might not be as big as you wanted. It’s also sometimes hard to tell what effect a wall or half-wall can have on living space. The solution here is to head out and tour some show homes. 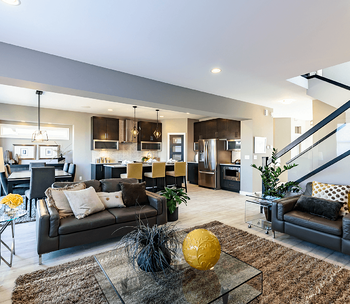 Once you’ve walked through several show homes, you’ll get a better idea of how the floor plans really look in person. At that point, it’s easier to stay focused on the designs more likely to meet your needs. If you want to use most of your current furniture in your new home, it’s smart to make a few scale drawings of your new home and pieces of furniture. It may soon become apparent that your current pieces are either too big or too small for the home you have in mind. You might not mind buying new furniture once you move, but you will definitely need to plan for the expense. Remember that you’ll likely want to stay in this home for many years. What will your future life look like and will the home still suit your needs? If you have teenagers, for instance, it won’t be too long before they move out. Once that happens, will the 2,200 square foot home feel too cavernous? If so, you might be better off with a slightly smaller home. Additionally, many families are purchasing homes with the idea of multigenerational living in mind. If you have an aging parent who could need a place to live in the future, you may want to plan for that possibility. Something like an in-law suite in the basement or an extra bedroom could be just what you need. Check out our suggestions on the best floor plans for multigenerational living. 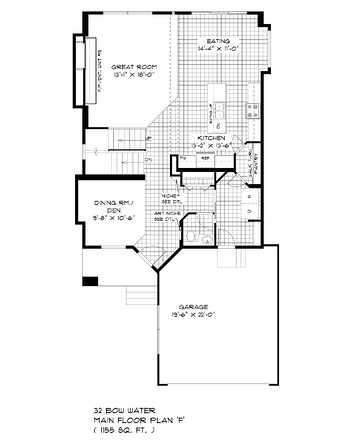 You deserve a home that meets all of your needs, and that starts by finding the right floor plan. When you carefully think about how you live your life, you’ll soon see that certain layouts work better than others. 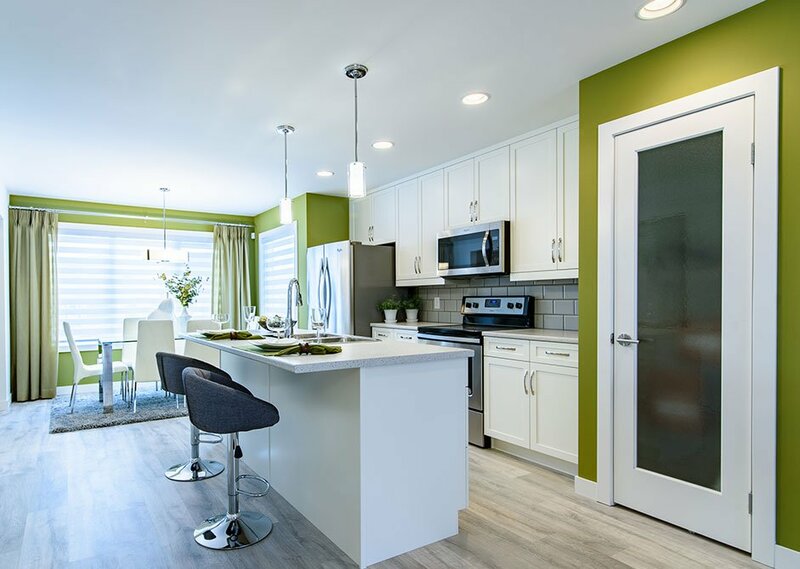 Get started by touring some of our show homes to see a variety of plans in action.